Art can inspire change. A true example of this is taking place in Oakland, California, USA. In today’s interview, we talk to people from the Dragon School, who not only think art can inspire change, but are doing it. 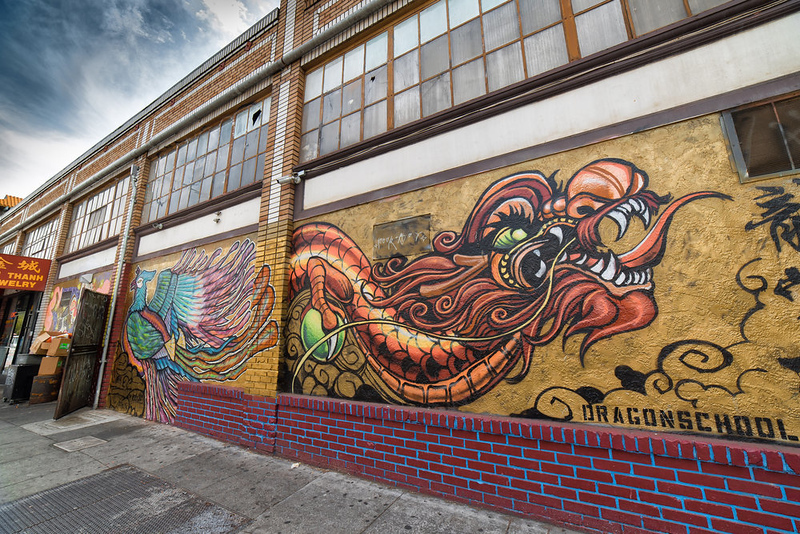 Through their hard work and artistry, the Dragon School is showing how artists are re-imagining neighborhoods. Question 1. What is the mission of your organization and how was it created? 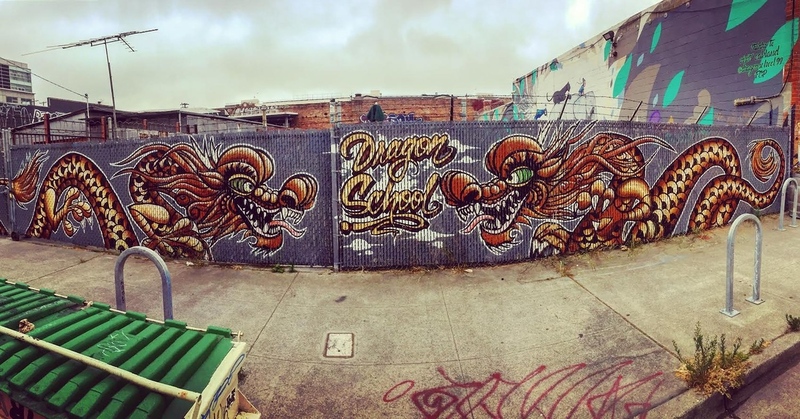 Dragon School is a 501(c)3 organization based in Downtown Oakland/Chinatown. We provide youth and artists a unique place to experiment, collaborate and develop community ownership via artistic avenues. 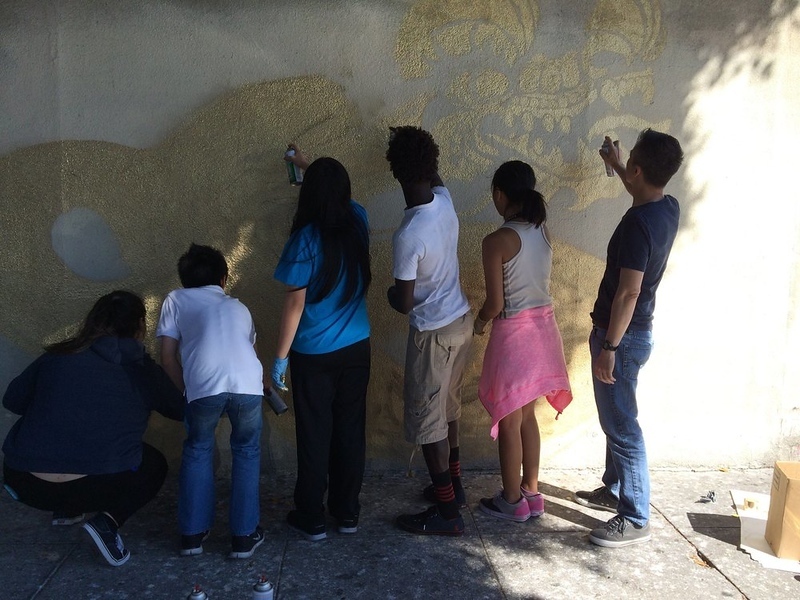 Dragon School’s method re-imagines the neighborhood as a shared culture of art, where unity is strengthened by diversity. We started in 2015 by our founder Luke Dragon. 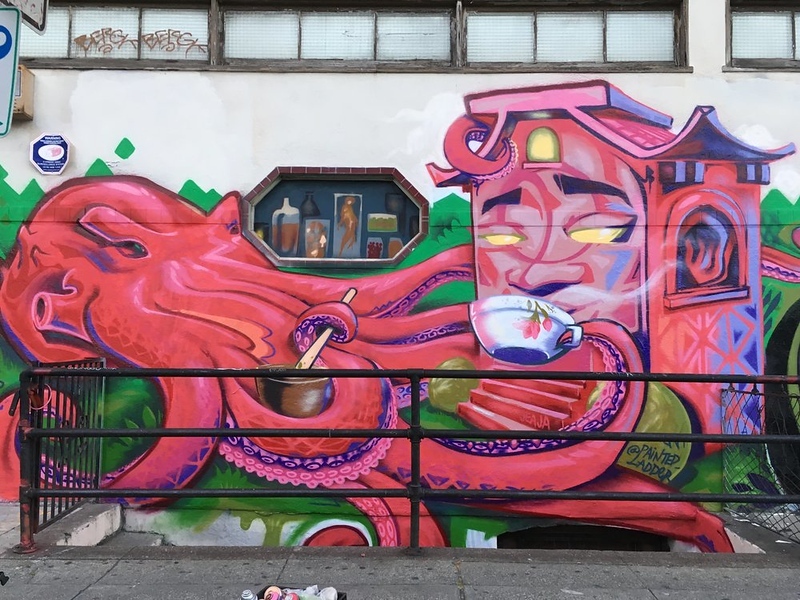 He got together with a few friends, and added some kids in the neighborhood which kick started a street art rampage that has given Oakland’s Chinatown a visual identity for all to explore. We have since then, grown into a small team of individuals that all share the love for art, community and working with youth. I’ll share a few recent projects. One of our latest projects was with the Oakland Public Library for their all electric book mobile. EKKE (Michelle Chan – Director of Programming/Outreach and Resident Artist) designed one side of the truck and knew it was important to design her side of the truck to appeal and capture young children’s attention. It’s a critical time for them to make reading a fundamental part of their exploration, and to increase their chances of a more successful and fulfilling life. 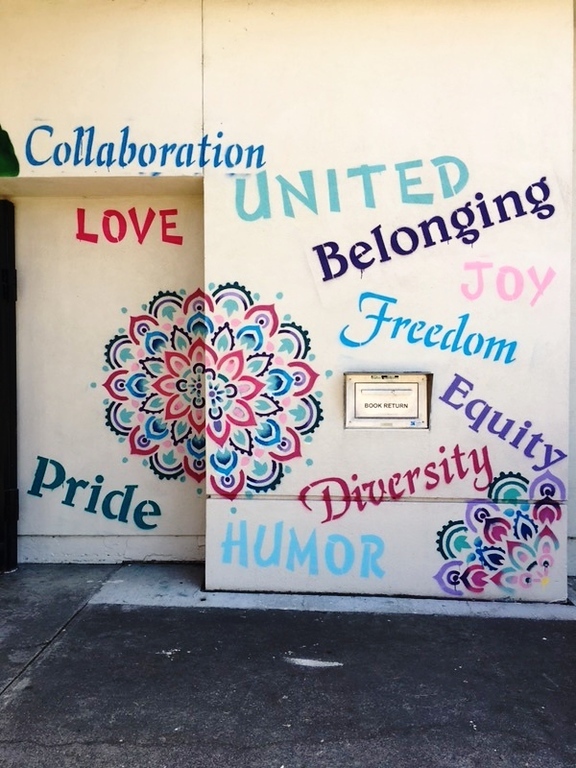 We also partnered with Castro Valley High School and some of their Seniors to create a mural on their library. In that same vein of focusing on young people, Dragon School has done recent workshops with two other high schools and an elementary school. We also fulfilled a request for art at the Concord Pavilion’s VIP area and a created a beautiful mural on a private home.eally great to keep an eye on! Lots of amazing pieces coming out of Hong Kong, Taiwan, Japan to name a few! Also Sao Paolo and Berlin are always impressive! EKKE (@ekke_art) designed a legacy mural for Cat Town in Oakland, which is a non-profit cage free cat shelter in Oakland. The mural is very fun featuring a three eyed alien cat swooping into the city to save all the street cats. 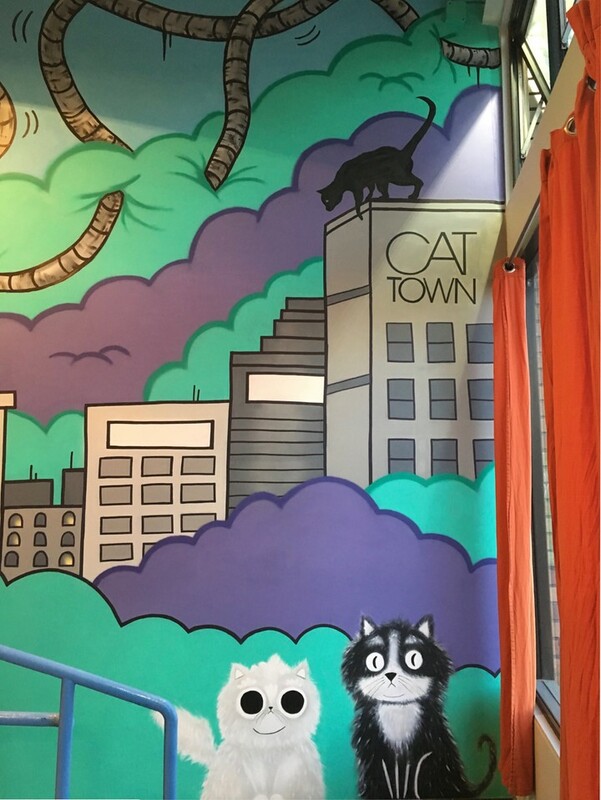 Cat Town Founder and Executive Director Ann Dunn stated “We are thrilled to see this mural come to life. This new art will unify our newly expanded adoption center with the aesthetic of our original space. 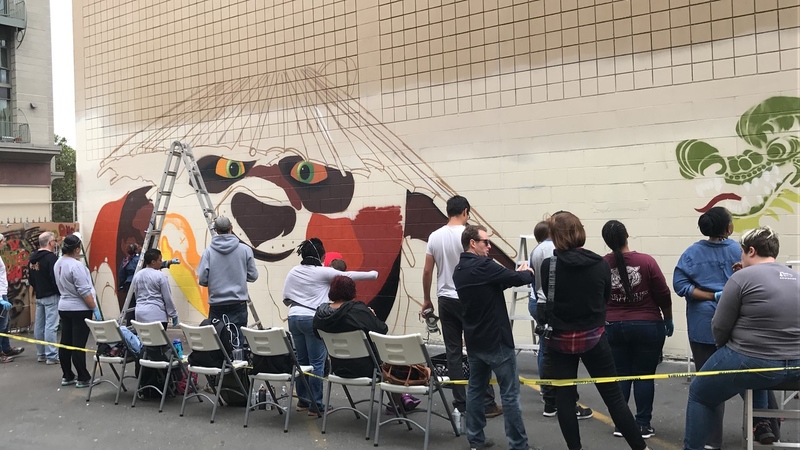 Michelle’s next mural will be at Oakland Animal Services, so it is also a visual connection to our partners at the shelter.” Dragon School artists are passionate about the work they do and love giving back to other non-profit organizations in Oakland through their art. Question 4. How can people help support your organization? People can help support Dragon School by following us on Instagram/Facebook. We would love to connect with more people and continue to share the magic that Dragon School brings to the community. We are also a non-profit organization and donations or commissioned work are always welcome to help support funding for our art programming. Question 5. 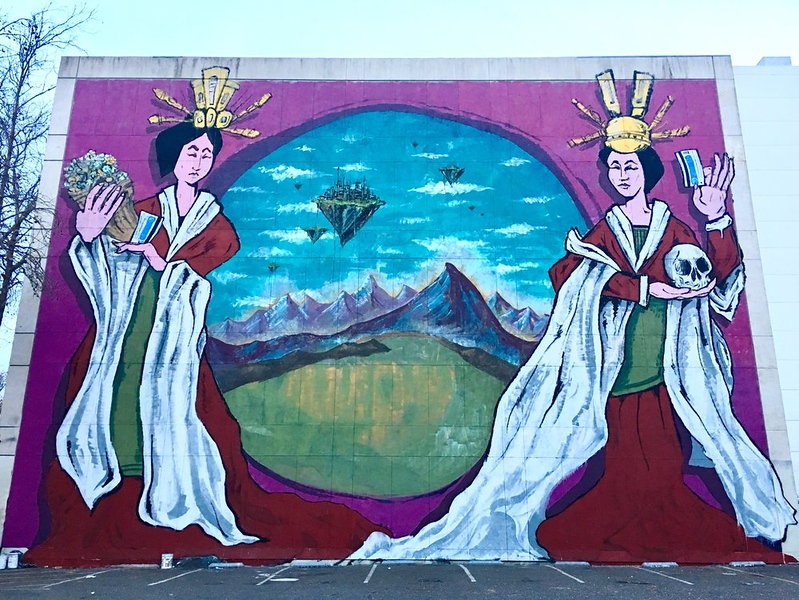 Besides Oakland area what destination has impressed you with its street art scene? Street art is everywhere and we love it! The Asian street art/graffiti scene is really great to keep an eye on! Lots of amazing pieces coming out of Hong Kong, Taiwan, Japan to name a few! Also Sao Paolo and Berlin are always impressive! Thank you to Dragon School for sharing their art and their mission with us! 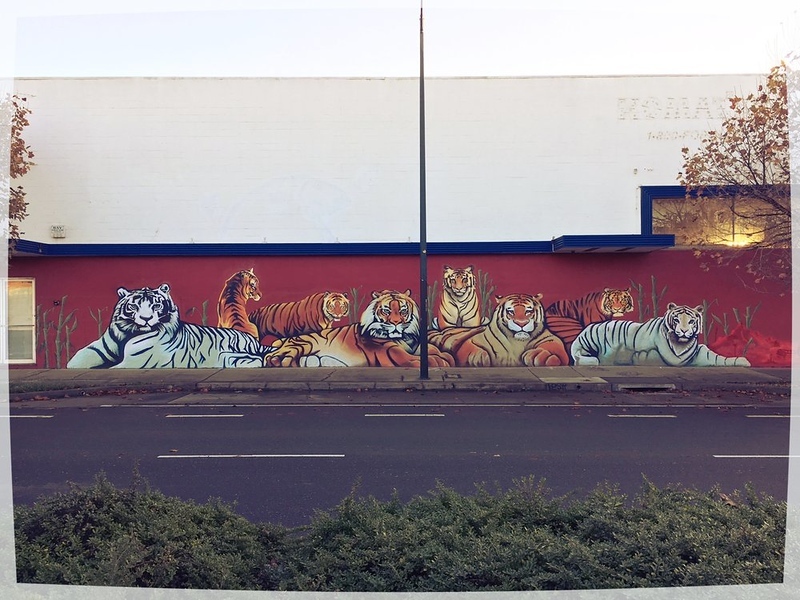 CHECK OUT SOME OF THE BEST STREET ART AROUND THE WORLD FROM FELLOW TRAVELERS! Would you like to share your street art with us? See how you can guest post on Street Art Chat!